Your personal growth and evolution will take a dramatic leap by utilizing the process explained in this deep 4 session Higher Consciousness Awakening Audio Intensive recorded live. If you are searching for answers to the difficulties in your life both Barbara and thousands of other people spanning 191 countries turn to this process for immediate awakening, answers and solutions that are nothing short of astounding. This intensive is now being offered for $99 USD for the entire 4 session audio intensive that is payable via fully secure Pay Pal. You can listen to this intensive as many times as you wish, and pick up from where you left off in the recordings. Higher Consciousness Awakening is the most important evolutionary leap for humanity. You will find this process priceless as it is something you can turn to at any time. Upon receipt of your tuition you will receive the password to the audio page via reply email from your payment sent via Pay Pal. Tuition is non-refundable. This is a fantastic journey for personal, spiritual and profound growth and awakening. Enjoy this intensive that has been recorded live for you. Click on the fully secure intensive tuition payment button below to begin your journey. 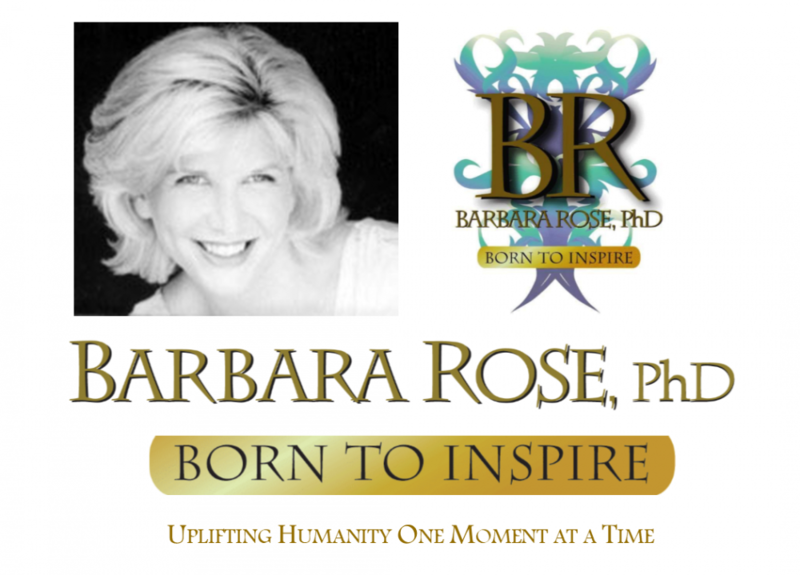 Dr. Rose has provided sessions to people from all walks of life, countries and cultures. Her service has helped Government Leaders, Ministers, Doctors, Celebrities, Lawyers, NASA Scientists, Sports Athletes, Rock Star Musicians, Feature Film and Television Talent, Teachers, Stay at home Parents, Priests, University Heads, World Leaders, Royalty, and more. This entry was posted in Browse Answers from God, Browse Higher Consciousness, Browse Higher Self Communication, Browse Spirituality and tagged Abusive Relationships, Barbara Rose PhD, higher consciousness awakening, Higher Consciousness Awakening Audio Intensive, leadership and transformation, Overcoming Adversity, soul mate answers, uplifting humanity, Your Love Life by Barbara Rose, PhD |Born To Inspire | Bestselling Author| Life Transformation Expert. Bookmark the permalink.